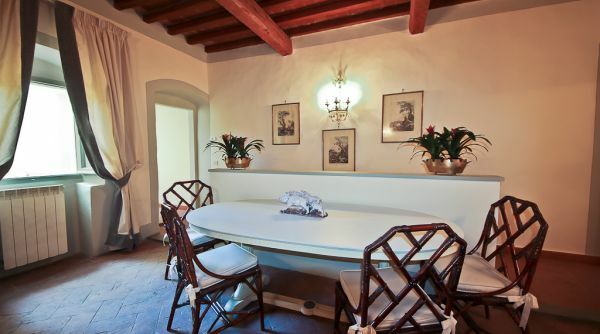 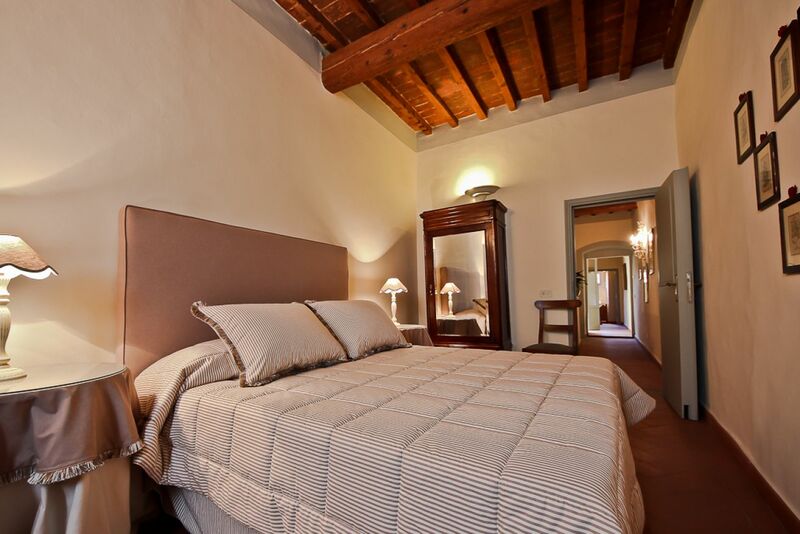 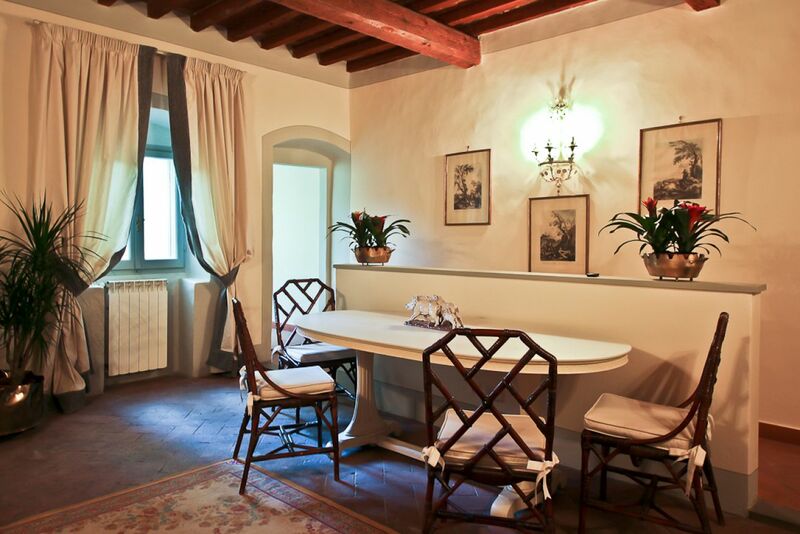 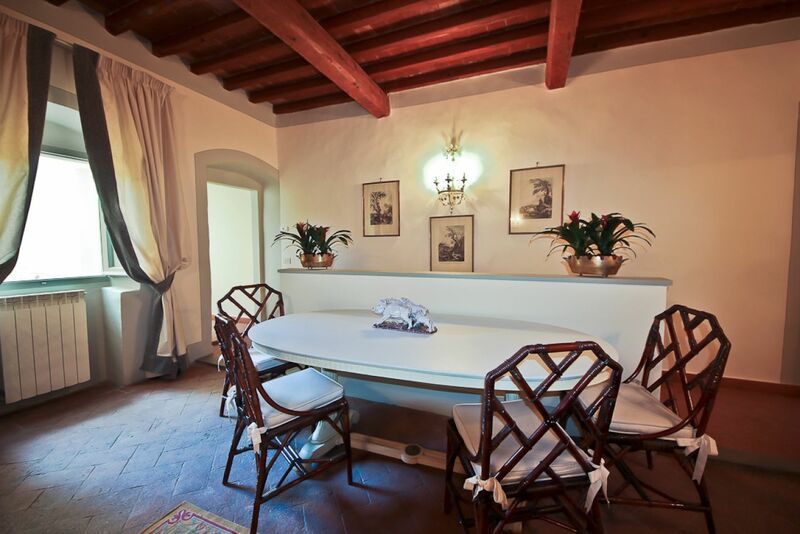 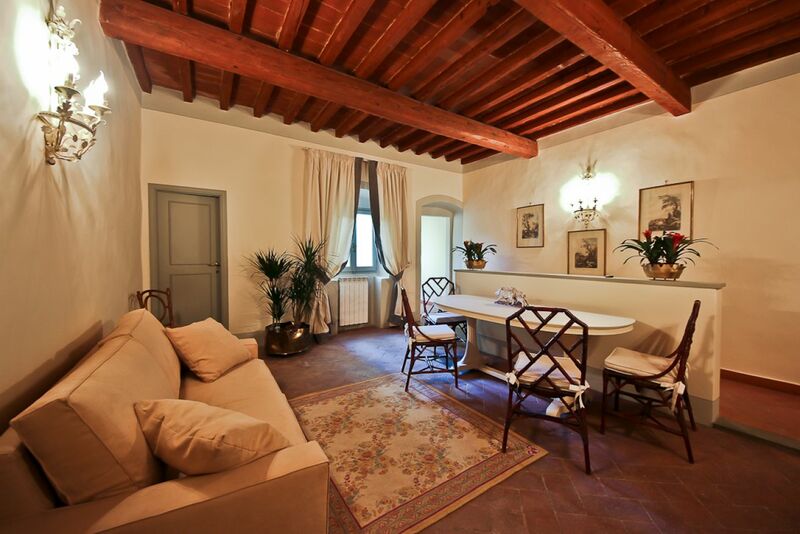 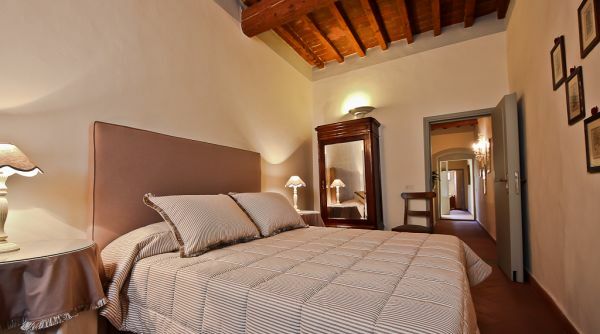 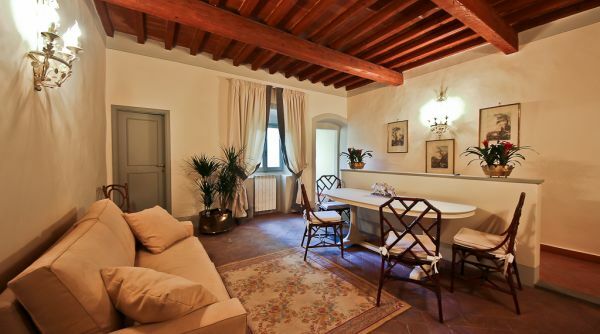 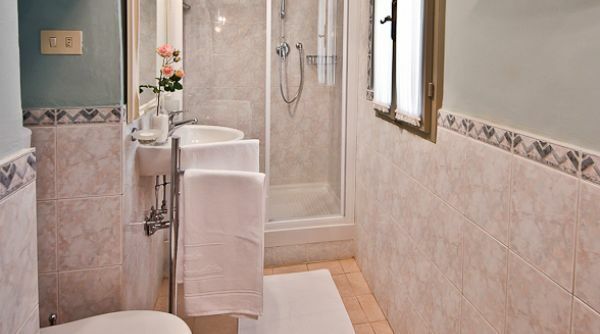 A hidden jem in downtown Florence: a wonderful apartment inside an ancient medieval convent. 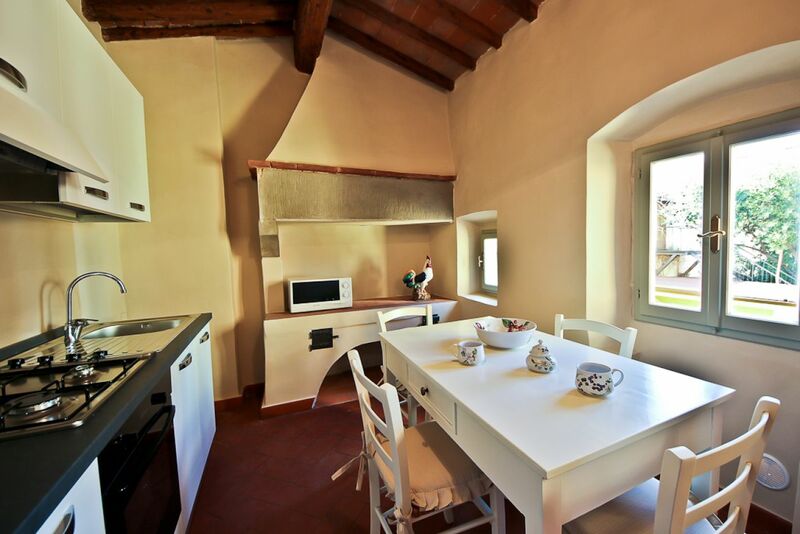 A unique and charming location for your holiday! 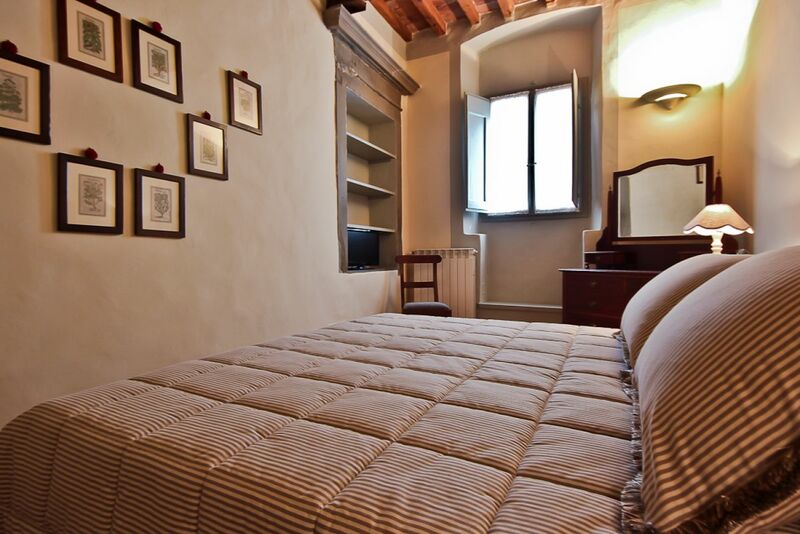 This wonderful, newly renovated apartment is located on the first floor of a building that was originally a convent. 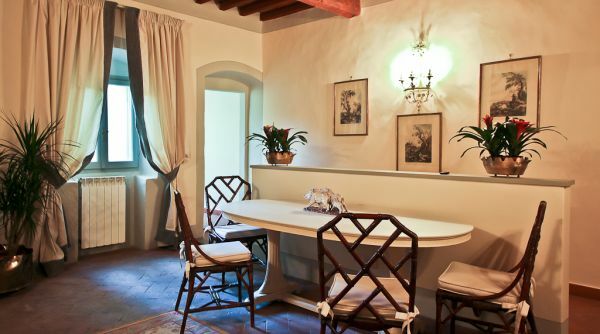 Imagine living in a place where a genuine medieval atmosphere still lingers in the air! 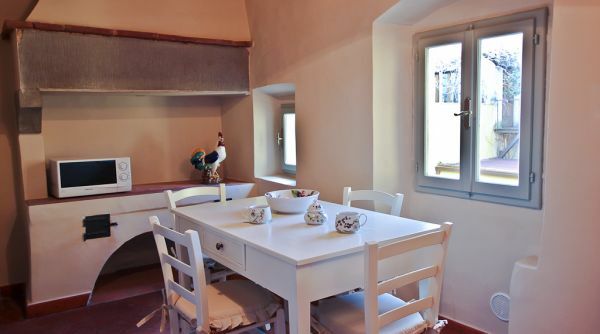 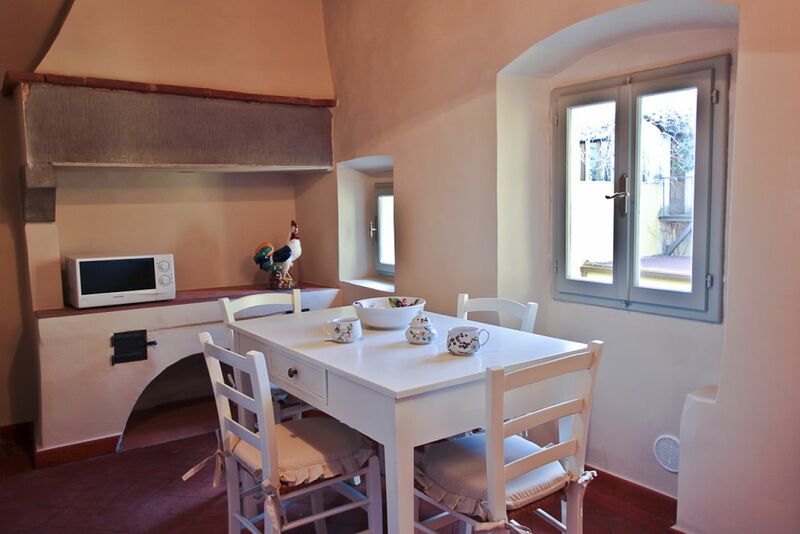 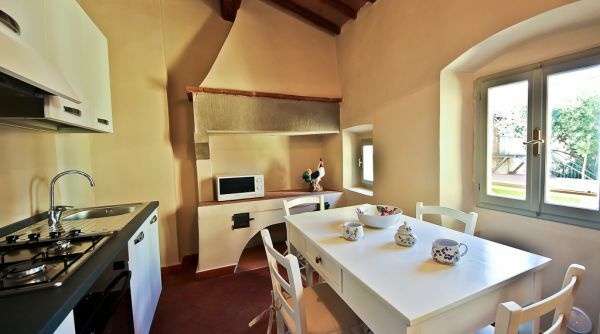 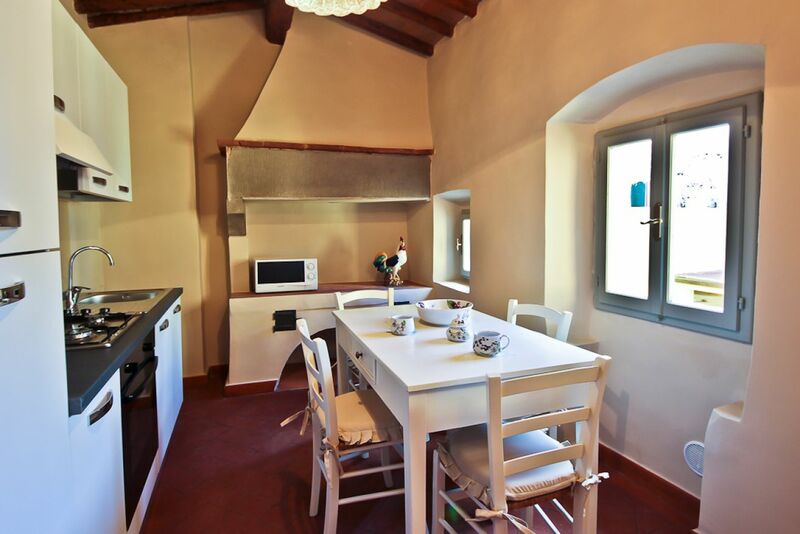 The whole place has been carefully restored according to the Tuscan tradition, with a special attention in maintaining the original terracotta floors and the wonderful wooden beames in the ceilings: you'll fall in love with this apartment the second you'll step foot in it! 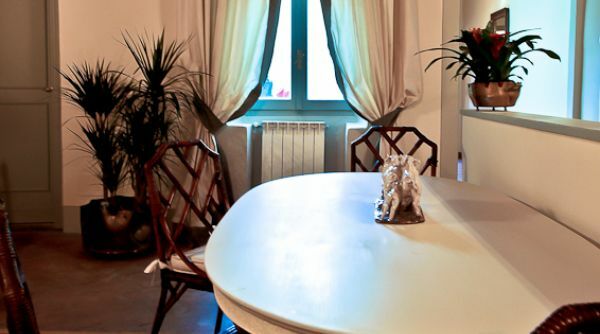 A spacious and bright living area is equipped with a cozy sofa, dining table and air conditioning. 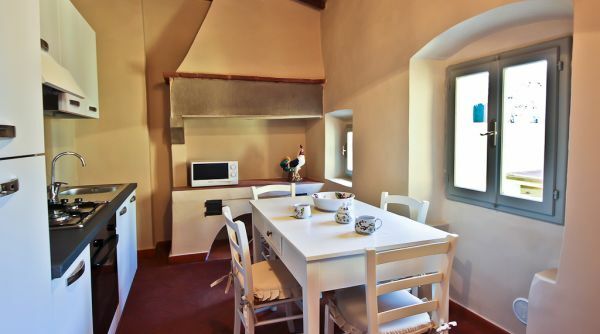 The wonderful modern kitchen is set in the very old convent's kitchen, as you can see by the original stone fireplace. 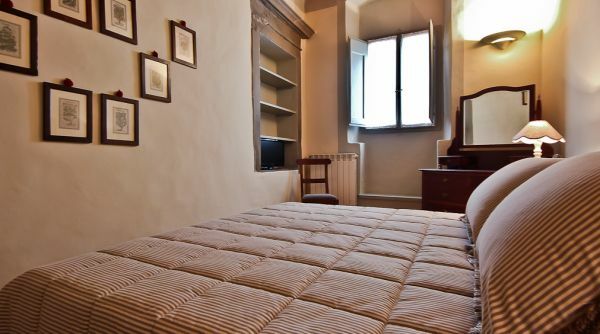 The master bedroom has also been redecorated with great elegance and traditional taste, and features a beautiful king size bed, a spacious closet and antique furniture and mirrors. 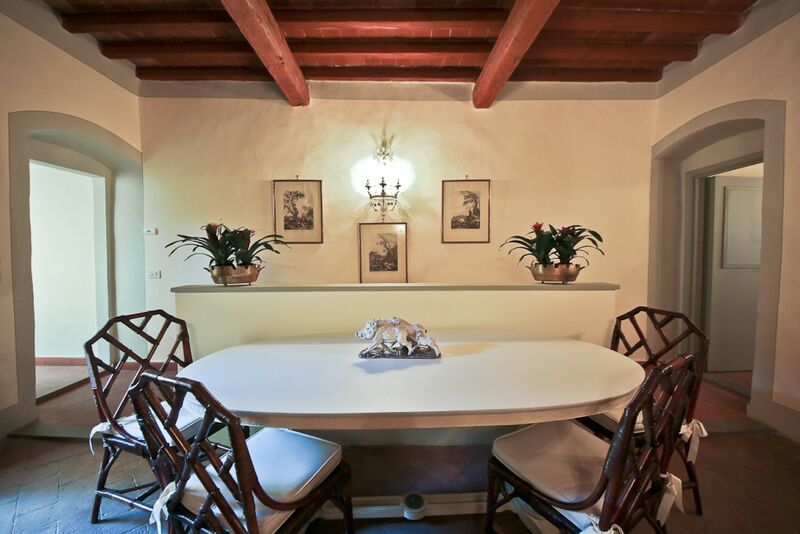 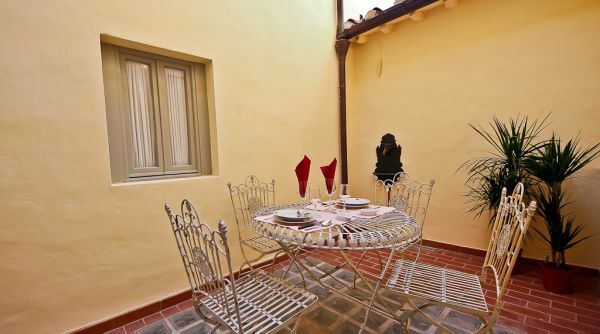 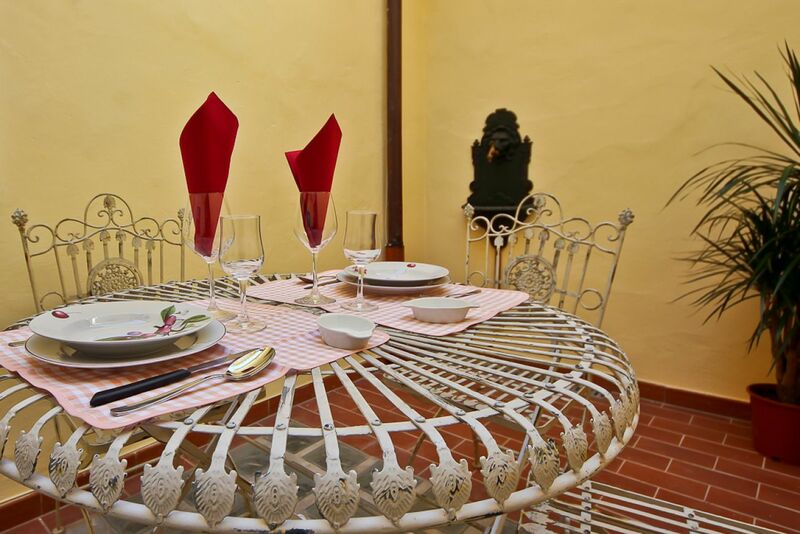 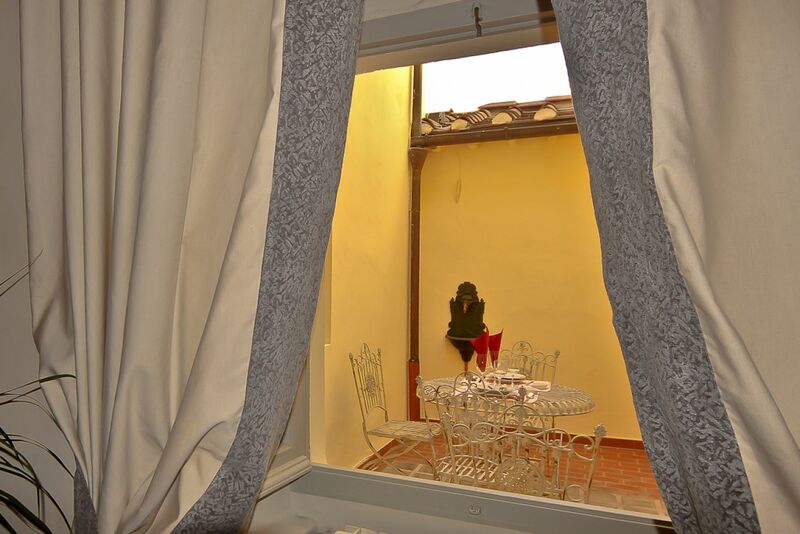 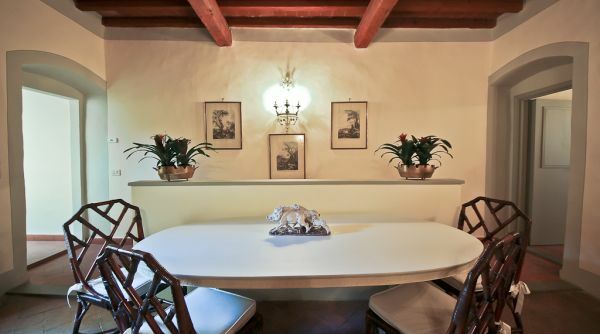 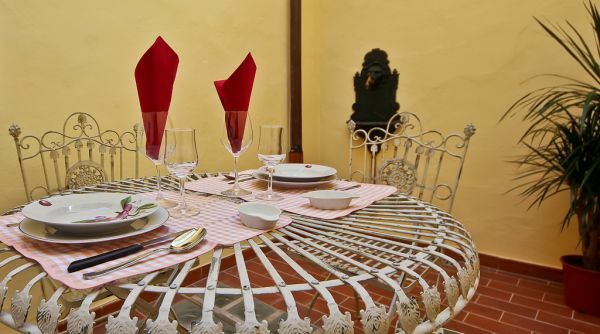 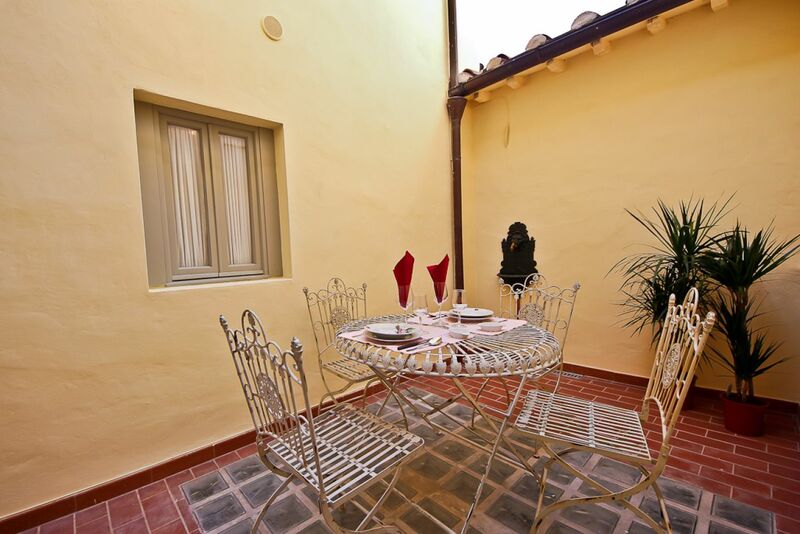 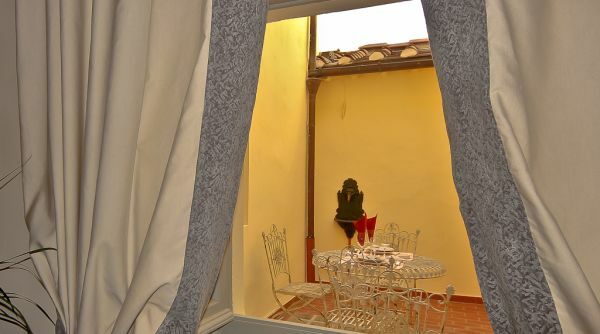 A very unique feature of this apartment is its secluded patio, equipped with wrought iron table and chairs: a very quiet and bright external space where to have breakfast in the mornings or enjoy a good glass of Chianti in the evenings. 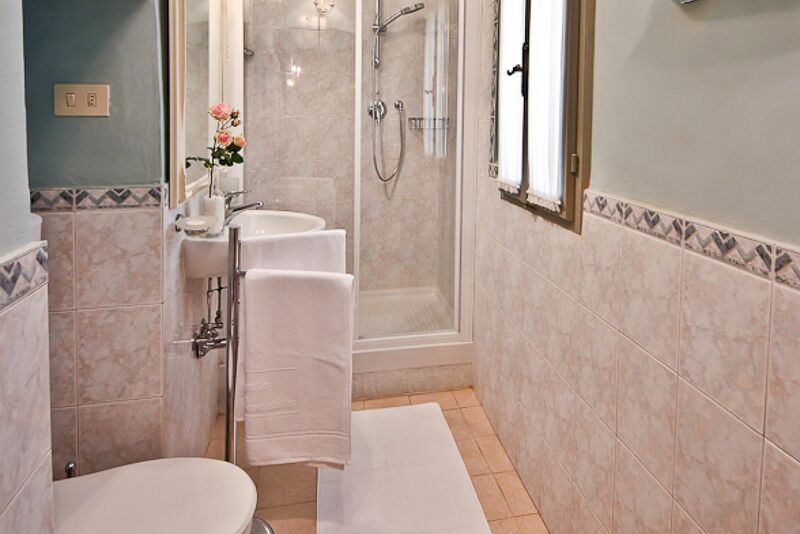 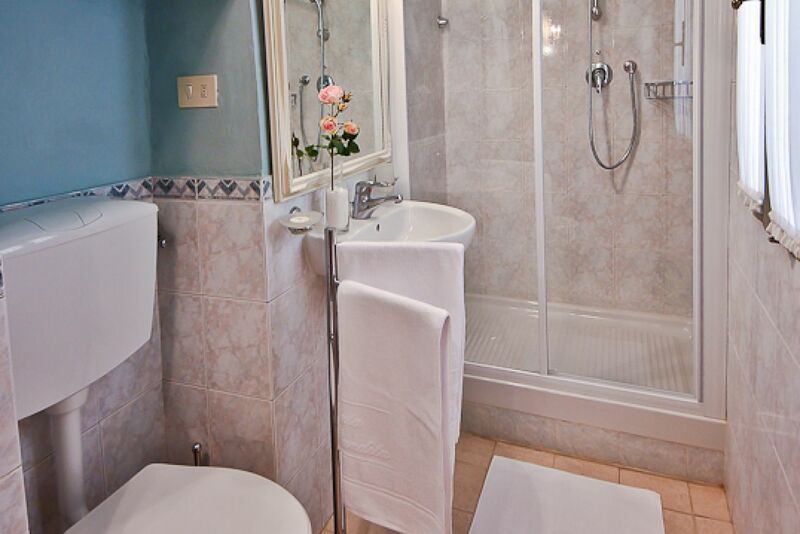 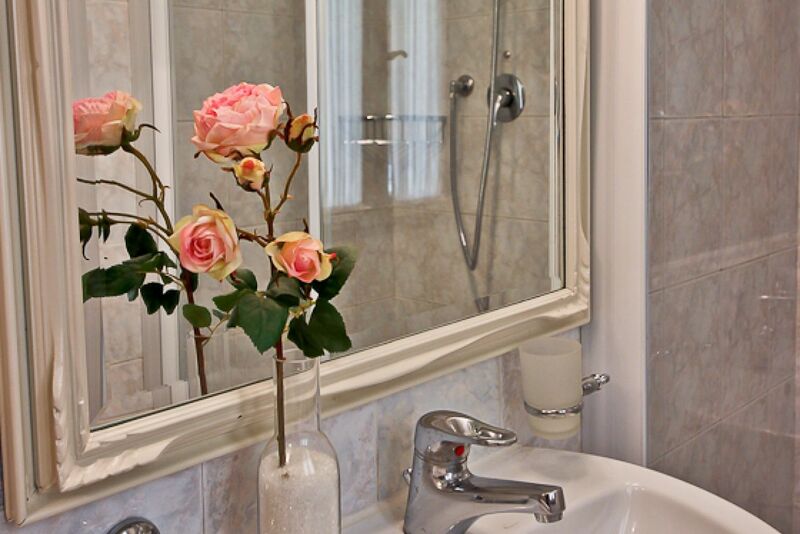 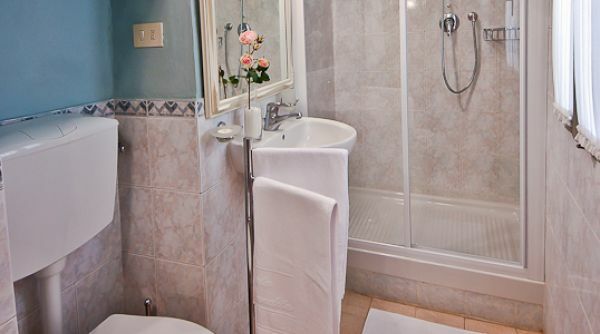 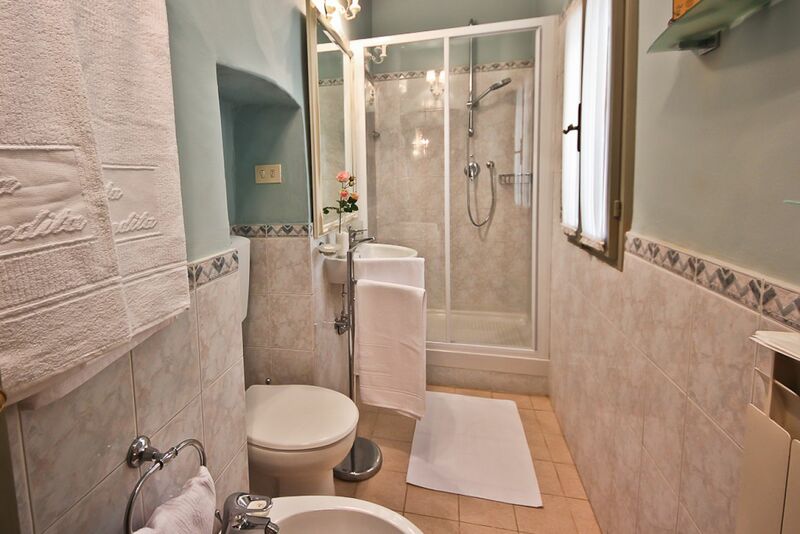 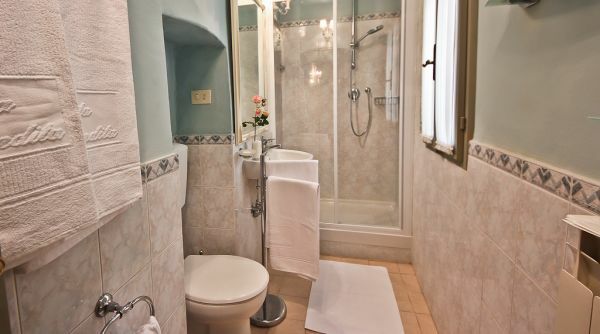 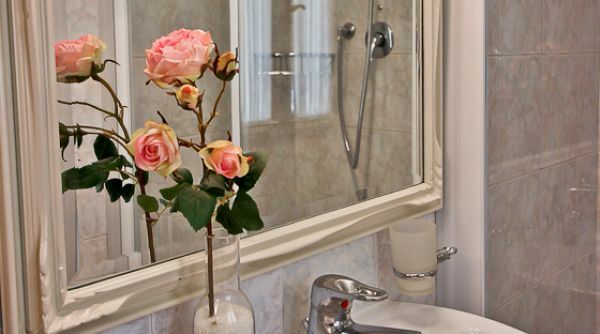 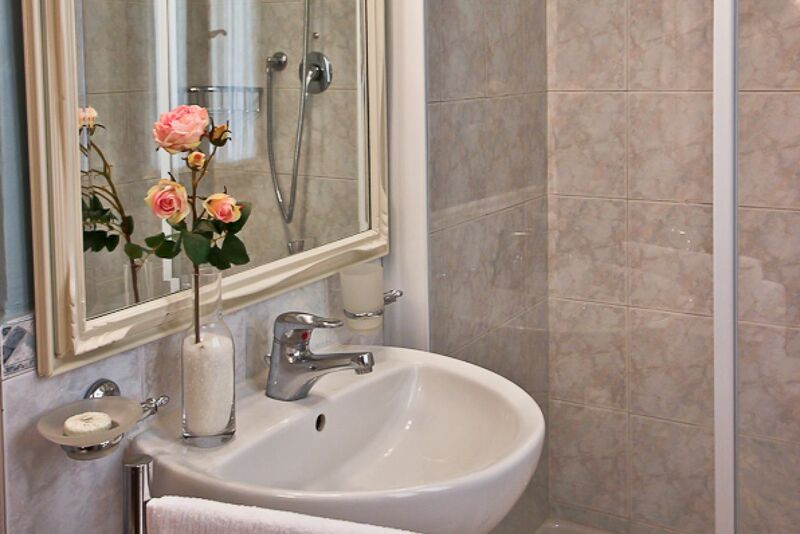 A wonderful and spacious newly renovated bathroom with walk in shower completes the property. 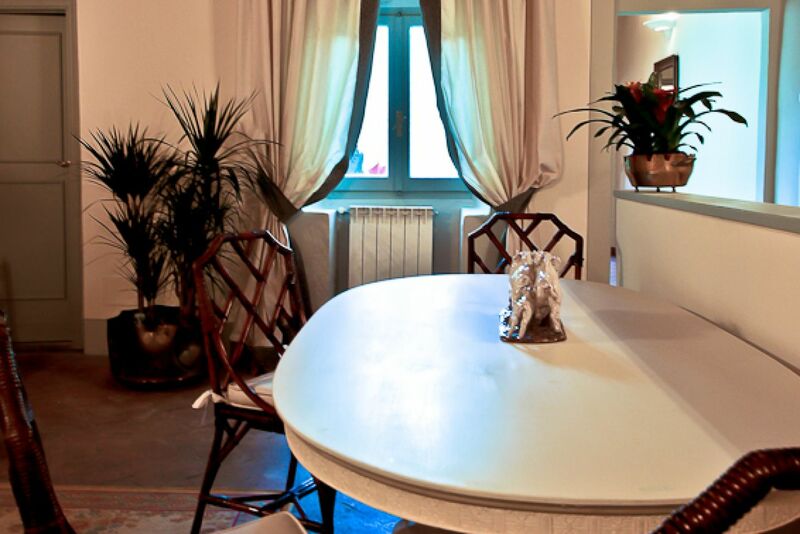 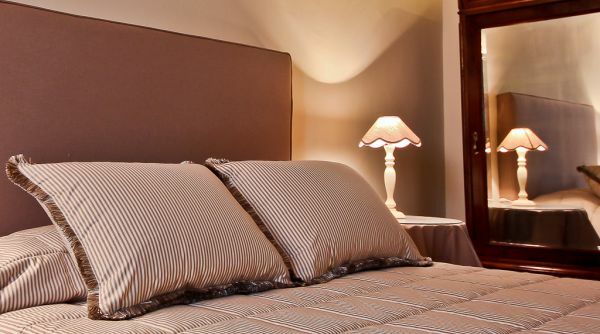 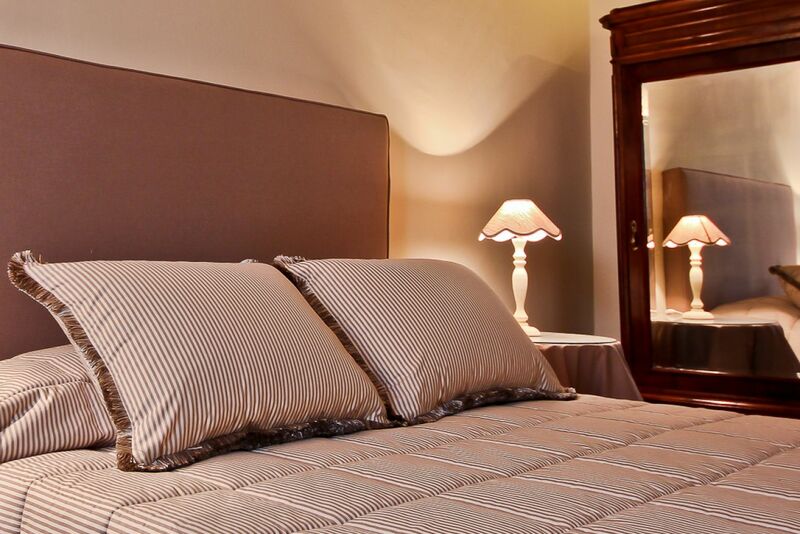 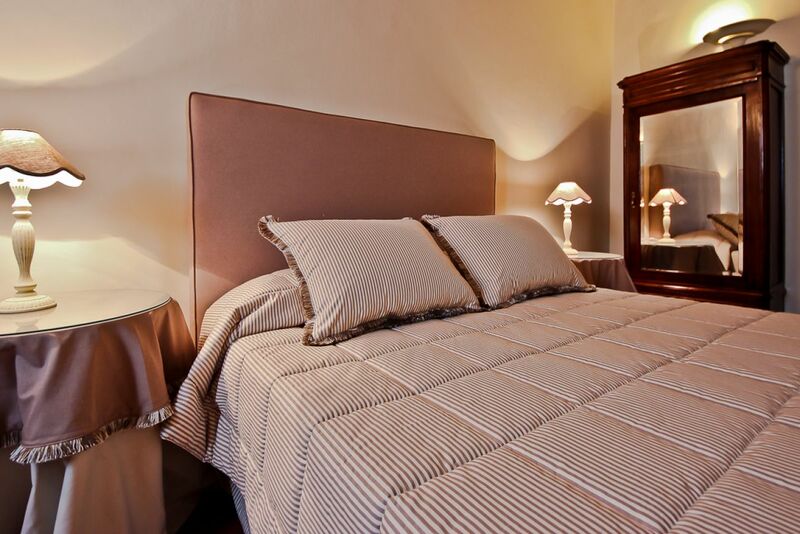 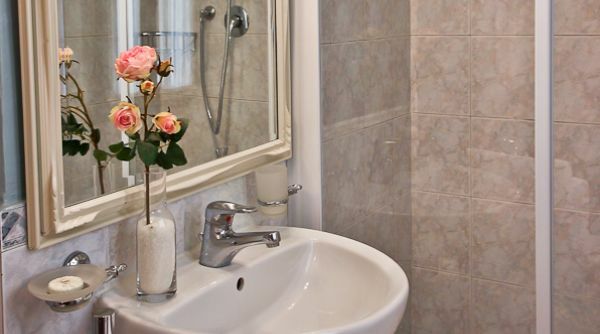 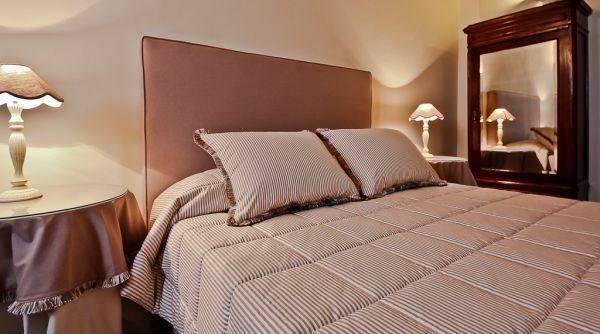 All in all, this apartment is the perfect elegant and charming location for a couple who wishes to experience an unforgettable stay in Florence. 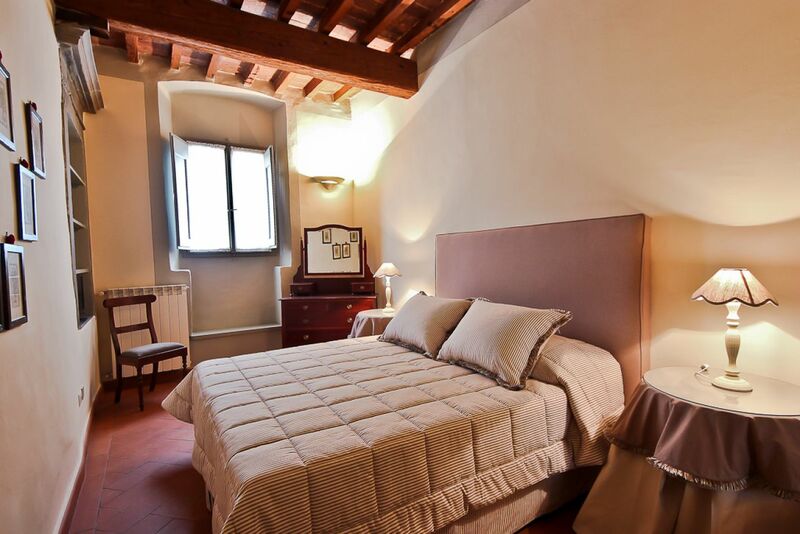 Nested in the San Gallo area, very close to the Duomo and the Galleria dell'Accademia, Battilani Convent is at walking distance from all of Florence's main sights, and a stone's throw away from the typical San Lorenzo central market and the Florentine leather outlet district, in an area filled with restaurants, bookshops, cafès and workshops.